Avec Sans are a new London-based electro-pop act made up of Alice Fox and Jack St James, who hail from Manchester and Trinidad respectively. The duo’s debut single, “Shiver”, is a solid slice of electro-pop with a strong 80’s pastiche. While the duo have been compared to Chvrches, to these ears “Shiver” calls to mind the luscious sugary pop of Goldfrapp circa ‘Head First‘ coated with the slightly indie edge of Au Revoir Simone (read our review of the excellent ‘Move In Spectrums’ album released a couple of months ago). Alice Fox’s vocals are gorgeous and summery – the perfect compliment to the band’s densely synth-layered sound. Listen out for the glitchy EDM production touches that sound throughout giving the song a contemporary quirk. The bridge section from 2:25 – 2:50 really showcases the duo’s ability to craft great pop, and here Avec Sans show hints of HAIM mixed with the aforementioned Au Revoir Simone. Brilliant stuff and a brilliant introduction to this exciting new act. We eagerly wait for more. 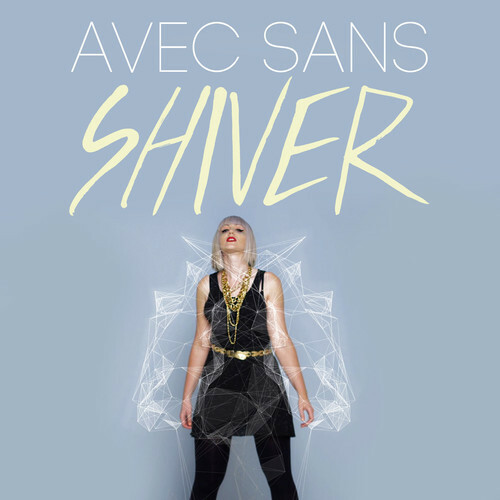 For a limited time “Shiver” is being offered as a free download via the Avec Sans Facebook before being officially released on 2 December, 2013.